Previous Article← How Will IoT Deform Transportation Industry in 2018? So your taxi business is exhibiting slow, but steady growth with rides occurring on a regular basis. However, with the market being ruled by fickle customers and new app-based taxi services popping everywhere, it has become a herculean task to build a sustainable business. How can your uber clone taxi app up the ante in this heavily-competitive taxi business ecosystem? 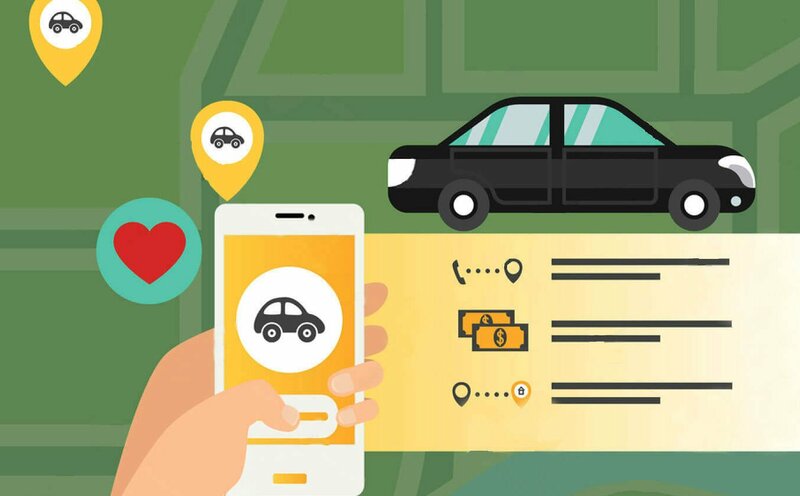 By adding advanced features to your Uber-like taxi app, your business can provide an improved experience that convinces them to prefer your service every time. The majority of taxi booking software lets riders request a taxi right away. However, lately, app-based taxi services have launched the concept of scheduled rides. Here, the rider can book a taxi for 30 minutes to a month in advance by providing the pickup and drop-off location and the time and date of the trip. Every passenger who has requested a taxi on an app like Uber can express how annoying it is to provide the drop-off location for the places they visit regularly. Passengers commute to work, a gym, their child’s school and travel back home on a daily basis. By integrating the option to save locations, you can make your customers’ booking experience even more simple! The concept of carpooling may have been popularised for reducing the carbon footprint, it has long been favoured for bringing down fares. This concept has been adopted by leading players for some time now and can be a profitable decision for your uber clone taxi app too. Let your customers share their ride with other passengers travelling in the same direction to pay cheaper fares than the usual. There have been many instances where we have requested for a taxi on behalf of our parents, grandparents or anyone else who either doesn’t own an Uber clone software or isn’t in the position to hail one by themselves. One of the recent features adopted by Uber-like taxi app is to allow customers to book a ride for their contacts. Before the booking process, customers can inform who will be hailing the taxi and also add contacts from their address book. Once the booking is confirmed, the contact will receive a message which can be used for hailing the service. Safety has become a rising concern for passengers. Your taxi business can inculcate safety protocols by integrating an emergency button in your app. The rider can press the SOS button during emergency situations to send their current location to the selected contacts, thereby establishing a sense of security for the passengers.